I wanted to shoot this video because, if you’re spending more than $5,000 a month on Facebook or Instagram, this tip is going to help you get much better results from your marketing. What you are seeing on the screen is a split test we shot to really teach our mortgage clients, insurance clients, and legal professionals. When these companies come to us, they start in a consultation. They come to us and we look at their Facebook account and look at what they’re doing. Most often there are three things that we can adjust to really move the needle in order to get them better results. The first is targeting, the second is the offer, and then the third is the follow-up. Normally two out of the three things, or all three of them, are completely broken. We have taken funnels that are profitable at those metrics and transformed them into incredibly successful campaigns by using these strategies. 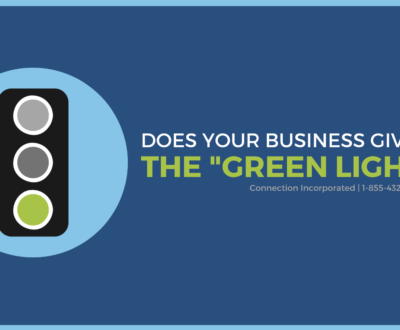 What we are going to talk about today is the first component – targeting the right traffic. What we did here was we ran a split test and spent $45,560 on this particular test. We spent about a month to a month-and-a-half on this split test and on the right-hand side, you can see the cost per lead that we were generating through the system. It ranged from $17.14 on the low end to $23.96 on the high end. Now, these are exceptionally well targeted, very high purchase intent leads that are actually engaged. This campaign was not always this successful. What we did was we took all of the different targeting options that we had available to us and broke them down in a way where we forced the Facebook algorithm to find us the most profitable traffic on Facebook and Instagram. The people that were really going to be interested in our offer and also have the ability to pay for our services at the end of the day. In the mortgage market, for example, when you are targeting traffic you’re getting all kinds of different people lumped into your main targeting. If you’re targeting people that are interested in mortgage loans, Facebook and Instagram are looking at websites that these people are visiting to put them in a market. Some of the websites say, “Look! These people are interested in mortgages!” (Ex: bankrate.com). However, people visiting these sites could also be looking at credit card rates or they’re looking for payday loans – all different credit based products. Even though we’re telling the targeting of the advertisement to go find those people that are interested mortgages, there’s a lot of very low quality leads that we are showing our ads to and we don’t want those people to come through. These people won’t get approved for a mortgage so they’re not considered a good lead for us. What we do in this strategy is we say, “Ok, Facebook. We don’t want to let you spend our budget on just a portion of that audience. We have to know where the good quality leads are and where the low-quality leads are.” so we run a test. In that split test, we take all of the different traffic sources and we invest budget across all of them which gets you this type of result. The budget did not have to be this large. We did it because we wanted to test a massive audience in a short period of time. Typically, if you’re a local business, you can do this for a far less budget, which is why this video says if you were spending around $5,000 a month. $5,000 is a fantastic budget to leverage this strategy! You can see at the top, one of these campaigns was generating us a result at $384.34. Each of these are going through an independent landing page so we can tell what Ad Set this person came from – what targeting actually attracted these people. Then we can tell that these leads are costly, but they’re also low-quality. What we did was we went through and we tested all of the different traffic sources in this particular targeting. What ends up happening at the end, is you get these sweet spots of the traffic that will convert because they’re interested in your offer, they’re a good quality lead for you, and you know that you got a high-quality lead coming through the funnel on the back end, because your offer is qualifying them, and then you’re putting them into an automatic follow up sequence. What we ended up with are these six campaigns that were performing exceptionally well and generating leads between $24 on the high-end and $17 on the low-end. Now what we’ve got is these six different audiences that we can scale. We know that these costs are stabilized now and we can continue to drive more and more leads that are going to convert and close at a profit through this funnel. The first is audience targeting. You have to go in and actually give Facebook and Instagram as much data as you possibly can on who you’re perfect customer is. I’ll give you five tips on the audiences that you should be working from the very beginning of every single campaign. Those five things are very valuable for you. Then you have to do the audience segmentation part, which is what I just showed you. We are actively going to manage our campaign and figure out the audiences we don’t want so we can turn those off. We also have to figure out the ones we do want that are scalable and then continue to ramp up the budgets on those until our client has enough leads of they have reached their max budget and that are happy with the growth they are getting from the campaigns. Here are the five audiences that you should start with inside every campaign as you’re running. The first is your past clients. 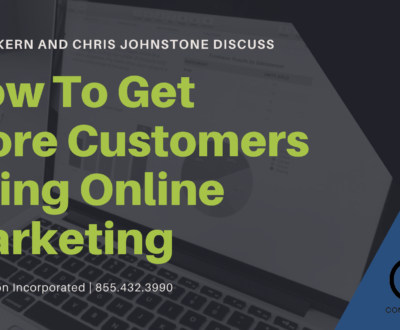 What you need to do is take all of the customers that have bought something from you in the past and you upload them as a custom audience into Facebook. You can tell Facebook, go find me more of those people, but you can also just show ads to those past customers. In the mortgage business, insurance, and legal businesses, this is the low-hanging fruit that most of those businesses could be turning a significant profit on. It’s completely un-utilized and they’re not even tapping into their past customers. We know the majority of your customers are using one of those platforms (Facebook, Instagram, YouTube or Google). This particular strategy work on all four of those networks. Those posts perform exceptionally well and it gives you a lead that’s already been referred by a friend. From a social perspective or an advertising perspective, it’s the warmest most likely to close lead that you can possibly get. You should be generating referrals from social media in your business using ads that target your past clients every single month. That is one strategy that you absolutely must implement right away to go out and run a profitable campaign. The second is your past leads. All of us have a lead generation source. That’s how you grow a business. You are either getting referrals from past customers, referral partners, or you are advertising in order to get leads. Most don’t have a system in place to follow up on those people and convert them into deals. You should have a long-term system in place that sends ringless voicemails, text messages, and emails to all of your leads over time. I don’t have it as a slide here but one of the major American Sales Associations publishes statistics on follow up every year and over 80% of sales professionals won’t reach out to a lead a fourth time. They call them three times – if that – and then that lead just falls off. Statistically speaking, it takes an average of 7 to 10 touches in order to convert a lead into a customer. We have the majority of the businesses dropping the ball well before a lead is going to convert and those leads are then going through somebody else’s funnel where they end up giving their business. What you should be doing with your past leads, beyond just a follow-up system, is uploading them into Facebook so that you can show them ads on Facebook and Instagram. Every touch point that you get in front of that customer leads them further down the purchase path with you and you will convert more of your leads into deals by showing them testimonials from past customers and then showing a direct call to action with the service that you offer. Often times if you’re in the mortgage business, it’s a free rate quote, letting them know how much they’ll qualify for and what rate they can expect to pay or a free consultation. Those are great offers to put out there. That particular offer is a trial of service. It’s a beautiful way to take someone from a social media advertisement and turn them into a paying customer. You should be running a funnel like that for every single one of your past leads. The third type of audience that you should be building is an engaged audience. And that is what this video is doing right here. I’m providing you with useful content that you can implement right away to get a result in your business. What we’re doing with this video is we’re taking anybody that watches more than 25% of it, putting them into a specific audience and showing them ads (you’re going to see an ad from me) that’s going to invite you to a free consultation with our team. This is where we’ll get on the phone with you, give you a one-on-one consultation and help you map this stuff out for your business. We will give you the plan for free then if you don’t have the time or you don’t want to mess around with it, you can ask us about our Done-For-You services and if we’re a good fit to work together that solutions manager can then do it for you. This video is helpful content (and there is no real sales pitch other than telling you what it is). Again, if you’re a mortgage professional, get on and teach people how to protect their credit so that they can get the best rate. If they’re looking at paying their mortgage off sooner, create helpful videos that teach people how to do lump sum payments. How to automate their payments in a higher amount so they pay the mortgage off faster. TThere are all kinds of tips and tricks that you can teach people about when it comes to their credit and their mortgage. Show those videos to cold traffic and then retarget the people that engage with the video. Another consultation we did a couple of weeks ago, another referral from one of our mortgage professional, was a lawyer. They did personal injury stuff. When they start typing those search phrases into Google and visiting those websites, Facebook, Instagram, Google, and YouTube sees that person go into a buying behavior that they have never exhibited before. All of those platforms can then target that person. What the best way to attract them to you? Just like the billboards or like TV advertisements to a broad market? It’s taking your television ad and putting it in front of the exact person who wants to hear that message at that time. They see the ad or your helpful content and watch 25% of it to get to know you and like you – maybe even start to trust you. They get to learn a little bit more about your business and then they get to see the offer for how you bring them into the office and you engage them. This can absolutely transform the results that you’re getting from your social media. If your cost per lead is too high, you should absolutely be running engaged audience style advertising on social networks, because it will transform your cost per lead and it increases your closing ratio on the people that actually come through the funnel. The fourth is lookalike audiences. You take your past clients, your past leads, and you’re engaged audiences, then you tell Facebook that all of these people have similar character traits. They will take all of your data on all of your client and distill it down into that perfect customer. Then only show your ads to that person when they come in the market for your product and services. From there you can do really cool things like you can show them testimonials from customers just like them. You can show them these types of engaged audience videos to then bring them into your funnel and they convert a lot better because you’re getting a better quality prospect. Now only after you have exhausted those first four can you get into cold targeting. That’s where you go to the Facebook ads manager, you open up a campaign and you target people that are interested in your particular product and service. A word of warning on that Facebook targeting. When you’re first getting into a campaign like this, you or the agency that you’re working with, will go to the Facebook ads manager and target a specific area and then say OK, here are my detailed targeting options – find me people that are looking for a mortgage broker, a mortgage loan, etc. These engines can find the people that are looking for your product and services. Most people will just pick one ad that targets one group of people turn the ad on and be done with it and think that they’re reaching the entire audience. In reality, that is not quite accurate. See, on the right-hand side, here, it says that the potential reach of this campaign is 140,000 people. With this particular campaign, this client was in Edmonton and targeting people looking for a mortgage broker in the city of Edmonton. We know there are roughly 40,000 people in that marketplace that fit the criteria. If you go down and you look at estimated daily results, it shows you that you can really only reach about 900-5,600 of those people with the daily budget that was set on this account. This particular customer was spending about $20 a day in order to reach that audience. Here is why that’s a little bit of a problem. At $20/day for 5,600 people, we are only reaching 4% of the total audience. Take that back to what we started with. Some of the people in that total audience are never going to qualify for a mortgage – they’re never going to be a perfect customer. Not all of the targeting is perfect. If you’re only buying one little sliver of the pie or 4% of the total audience, you never get to try the whole pie. You don’t know where the profit is in your campaign. What you have to do is take the strategy that we started out with and apply that to each of the slices of the pie. You take all of the different targeting options and you run them in the same Ad Set. This way, you get to try every single slice of the pie and find out where the profitable traffic is. 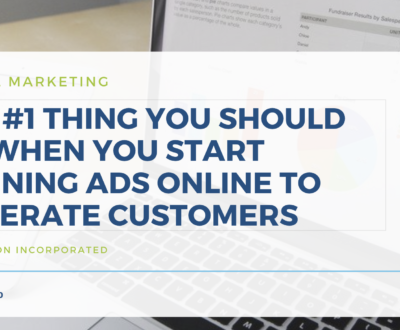 The reason why that is so exceptionally important is that once you do that work and you identify that targeting option that’s going to be the most profitable for you, and you scale your advertising budget just into those few slices of the pie, you have an Ad Set that you’ve purchased from under your competition. You can go head-to-head in a local marketplace with a competitor, have the exact same budget and get a transformationally different campaign result by running even the exact same ad. Even if you have a competitor that checks out your website and rips off your ads, well if they don’t have the audience dialed-in it doesn’t matter! You’ll still outperform them with the exact same campaign. Here is what I would like to do for you. I would like to get on the phone with you, one-on-one. One of our solution managers will get on the phone with you and actually walking through this process – identify who your perfect customer is, who your past customers are, and help you map out a blueprint of what an exceptional campaign looks like for your business. They will literally help you dial into what the strategy can be. Then they’ll walk you through the other two steps which aren’t in today’s video – how to get the right offer to people and how to follow up. 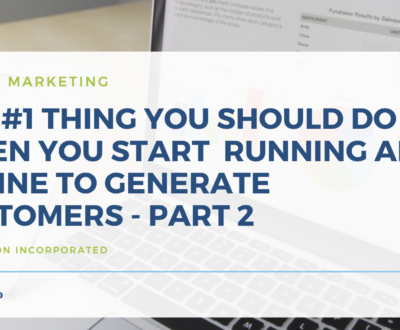 They’ll give you a rough plan for what type of follow-up messages you should be sending, they’ll tell you what time you should send them, and they’ll help you plan out your ringless voicemails, your text messages, and your email marketing that is going to go out to these leads. Now you can claim that all for free. All you have to do is go to www.connectionincorporated.com/strategy. Then just fill out some questions (you’ll see that most of those questions are geared towards loan officers and mortgage professionals because that is our core business). If you see any questions that are unfamiliar to you, don’t worry just skip over them or fill them out with zeros and let us know what business you’re in so that we can help you. With our agency being a Facebook Marketing Partner, we are very good at what we do. These strategies have actually been given the big old blue checkmark from Facebook and we were accepted into that program because of the campaigns that we’re running and the clients that we have under our management. This isn’t some kind of weird, off the wall strategy. This is exactly how you’re supposed to be using the advertising tool. 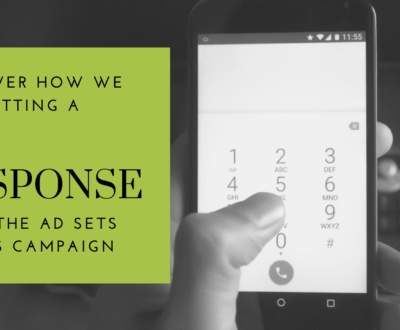 If you have a campaign that you’re running right now and you’re spending more than $5,000, just the targeting options that we’re going to detail for you in this strategy call could potentially triple the results that you’re getting from your campaign. Some of those audiences that were charging $250 a lead can be dropped all the way down to $17 per lead just by changing the audience that we are showing our ads to. That doesn’t even get into the right offer and the right follow-up sequence and we’re going to lay all of that out for you. My name is Chris Johnstone and if we haven’t met, it’s a pleasure to be meeting you through social media here. 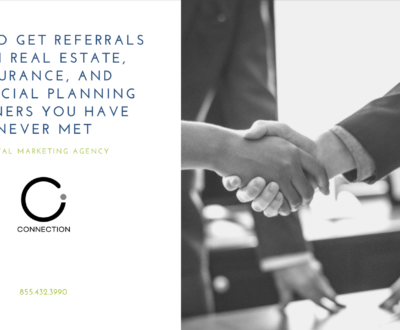 I’ve been in digital marketing now for 13 years in the financial services industry and I’m the owner of Connection Incorporated. It’s it’s great to have you here! I would absolutely love it if you click “like” on our Facebook business page. If you have any questions about this video, even if you’re not watching it live, go ahead and leave a comment below and we’re happy to answer any questions that you have. 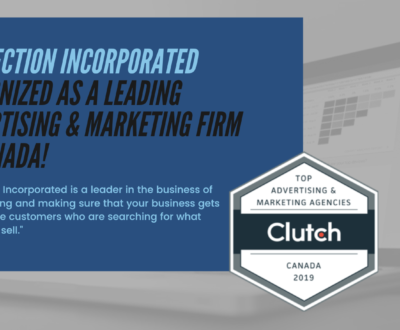 If you’re having trouble with the link www.connectionincorporated.com/strategy, you can just leave a comment below the video saying “strategy call” and we will reach out to you with a private message and give you all the details that you need. If you know a business professional, perhaps you’re a mortgage professional and you have a realtor that you’re working with and they’re looking for results from advertising on Facebook, Instagram, YouTube or Google, tag them in a comment below or share this video with them! Help them grow their business. Of course, that’s going to help you grow your business! Same thing with the insurance professionals that you’re working with on a regular basis. We’ve got a really cool funnel right now that’s driving home insurance leads which are turning into mortgage leads. If you have an insurance professional tag them in a comment below this video. The more people we can share this message with, I would absolutely love it! Again, my name is Chris Johnstone! 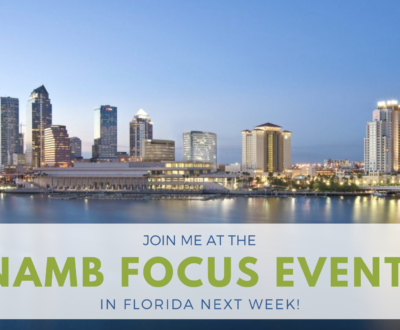 I’m really looking forward to seeing you book that strategy call so we can help you with your mortgage marketing. We’re really looking forward to helping you out. I hope you’re having a great day and I’ll see you around! Pingback: Mortgage Leads - It Might be Time to Ditch Your "Landing Page"